The Women’s March on Washington and the March for Life were marches to the beat of extremely different drums. Antonia Okafor attended both marches and pointed out some of the stunning differences in a piece for Independent Journal Review (see here). She points out those stark differences mostly by letting images tell the story as one scrolls down the page. This week, we invited Emily Brown of Life Defenders to speak about those differences on our podcast, Principles Matter (see here). The names of the marches themselves and the clarity of their messages. March for Life – a march FOR life that seeks to replace the culture of death with a culture of life, first and foremost, by ridding our nation of the horror that is abortion. Women’s March on Washington – an aggressive march ON Washington devoid of a clear message and ultimate objective. The use of language and costumes. 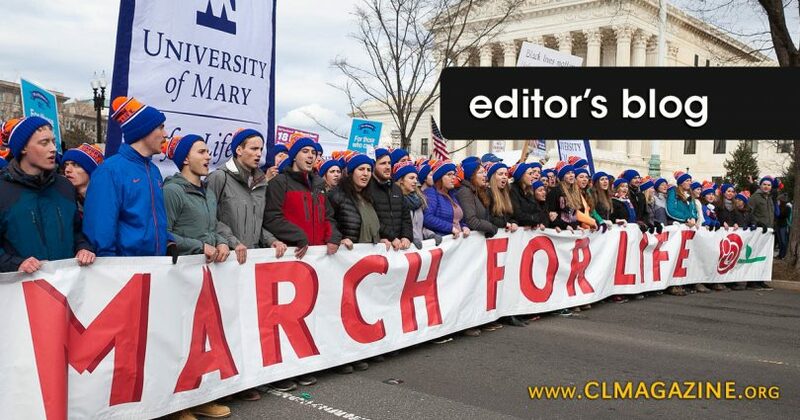 March for Life – uses inoffensive language to articulate a clear message. Marchers do not wear costumes and dress as they would on any other day. Women’s March on Washington – used highly offensive and extremely vulgar language to express an emotionally-charged unclear message. The message is something between expressing hatred for President Trump and an unusual attempt to defend women by intentionally or unintentionally reducing them to their reproductive body parts. Many marchers also wore costumes that are downright vulgar; it was especially popular to dress as female genitalia.